One minute you’re an alien speaking in a strange language, the next, you’re creating an orb of energy or walking in space and attempting to greet people entirely with eye contact. These are ice breakers. Or maybe you want to call it improv. Either way, it’s the foundation for which you build your temporary community during a Project World School retreat. It’s how you make that initial bond with a group of people you have never met before, and as weird as it all sounds, it works! 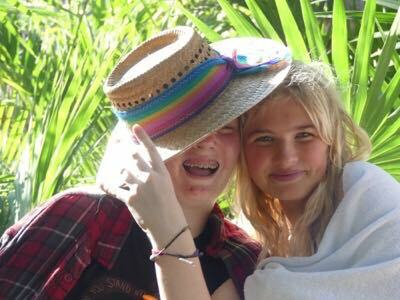 Nothing brings teens together like running around on the beach and making funny noises at each other. And so begins PWS’s 2019 intro retreat in Mexico! The first of its kind (and most certainly not the last), and boy was it an amazing 9 days! After all that improv we were ready to really begin our retreat. 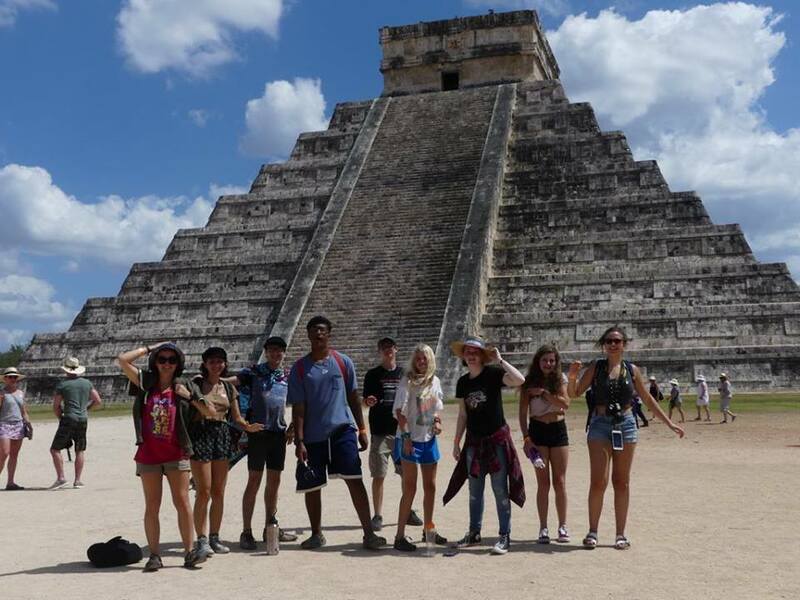 We started off with an excursion to Valladolid, a colonial city on Mexico’s Yucatan Peninsula. 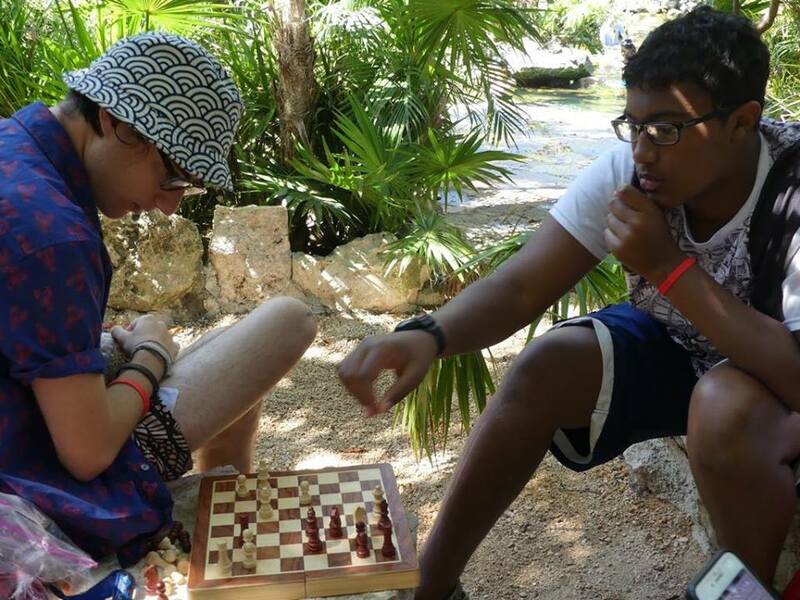 Our teens got to visit a local museum full of cultural art followed by a trip to a cenote! 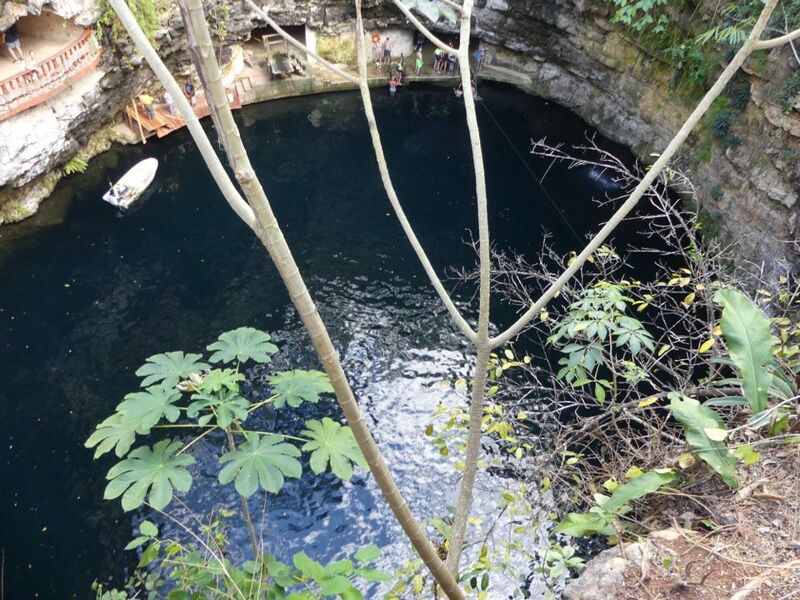 A cenote is a natural pit, or sinkhole, resulting from the collapse of limestone bedrock that exposes groundwater underneath, and we got to visit a few of them during our retreat. Following the cenote was a light show, and then it was back to our Airbnb for some well needed sleep. The days to come were filled with activities. We got a feel for the local culture, ate locally, took cooking classes, and even visited a local spice shop! 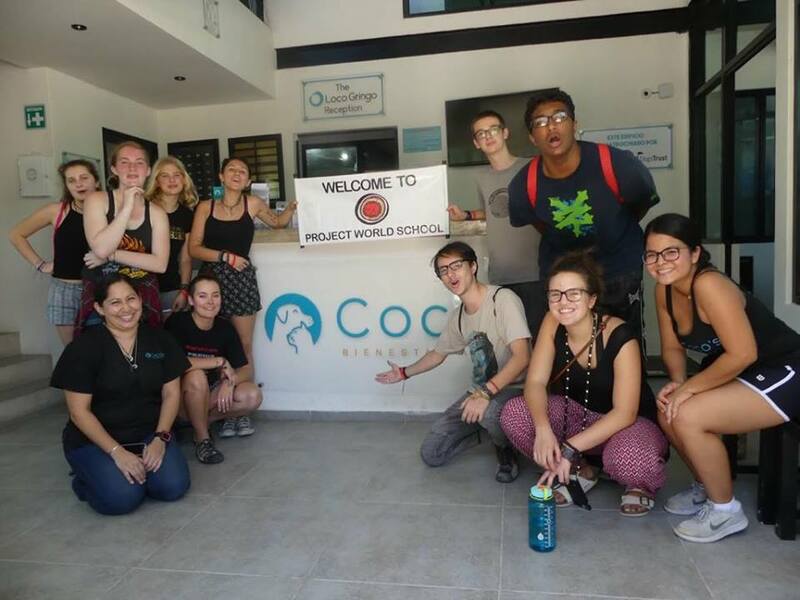 Another thing we like to do on PWS retreats is to include a day of service, and with this group of teens we paid a visit to Coco’s Animal Welfare in Playa del Carmen, where we had the chance to help them spay and neuter stray animals to prevent them from reproducing. 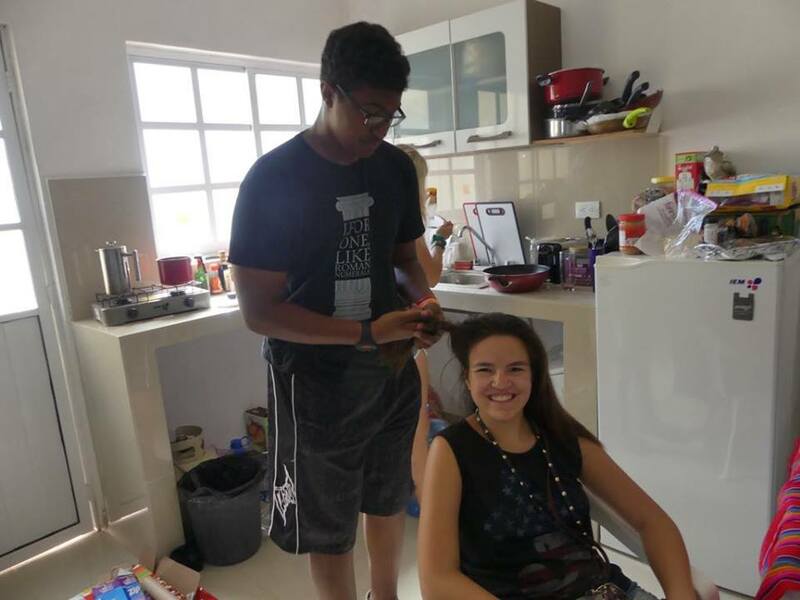 It is very rewarding to be able to give back to the community that we were only just getting to know. Now, that is just a taste of the many activities we had on our retreat and the many late nights/early mornings spent hanging out and getting to know each other. It is truly amazing how close a community can become in only 9 days. 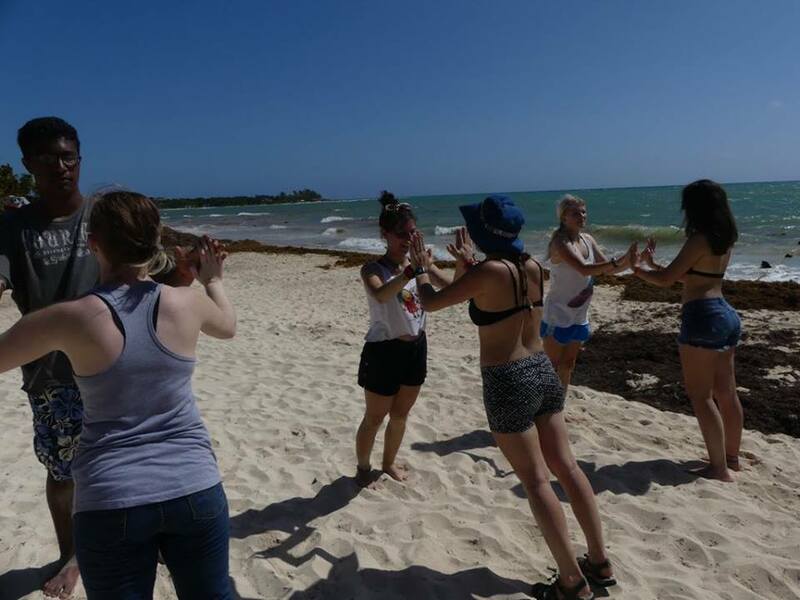 We finished up the last day of our retreat with a cacao ceremony on the beach, a beautiful view of the sunset and our final circle, which is usually a bit emotional; (although we did have most of our wonderful participants coming with us to volunteer as the PWS Family Summit, so we didn’t have to say goodbye just yet) ending a retreat is never as easy as starting it. But the goodbyes are not always so final, we make plans for the future and hope to take our experiences into our next adventure. You never know where you could be next! I suppose that is what makes it all so exciting.